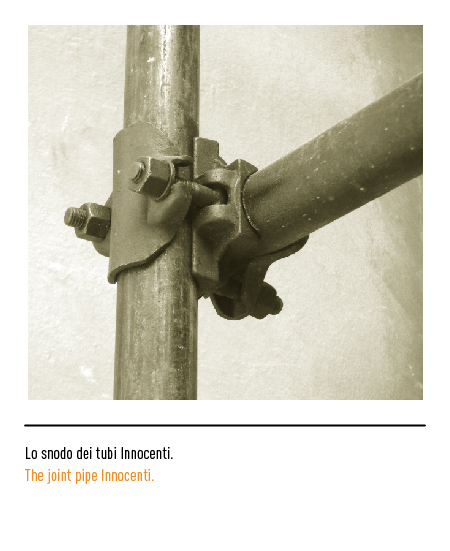 Ferdinando Innocenti, a chartered engineer, began manufacturing weldless scaffold piping at Lambarte on the outskirts of Milan in 1931. 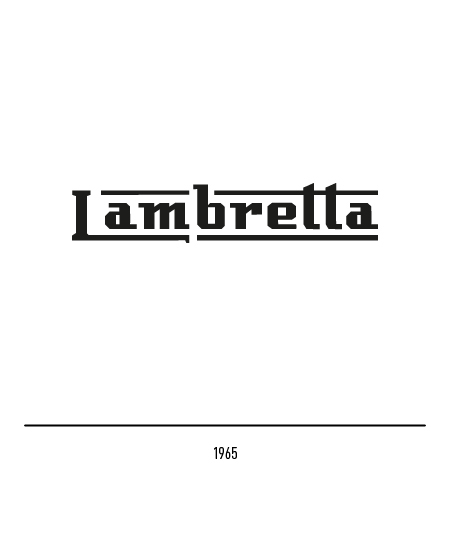 In addition to the building industry, the product was widely requested for erecting temporary platforms, grand-stands, press-galleries, and the like. 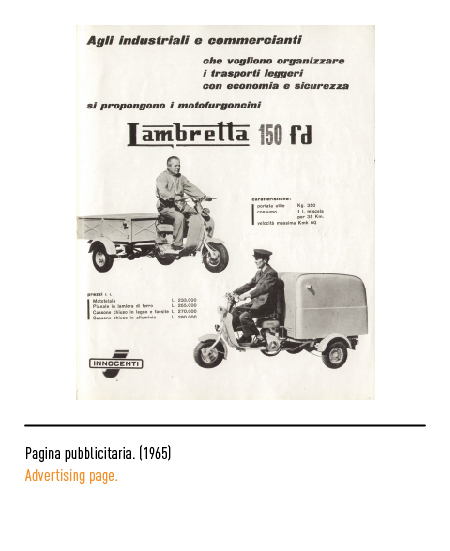 Production was diversified after the Second World War to first include motor-scooters and later motor cars as well. 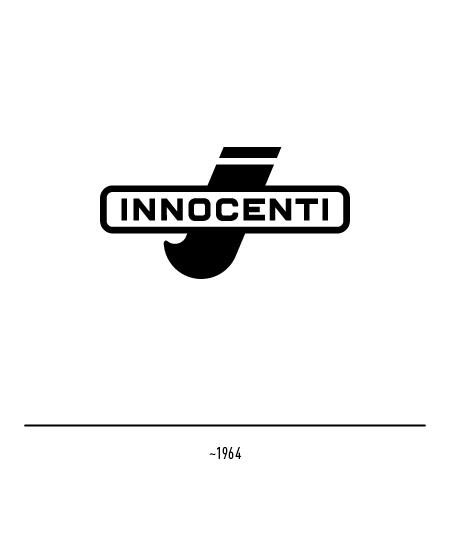 The firm's trade-mark in 1947 featured three oval-framed letter "i's" symbolising its three branches of business, namely the mechanical, motorcycle, and motor car sectors. 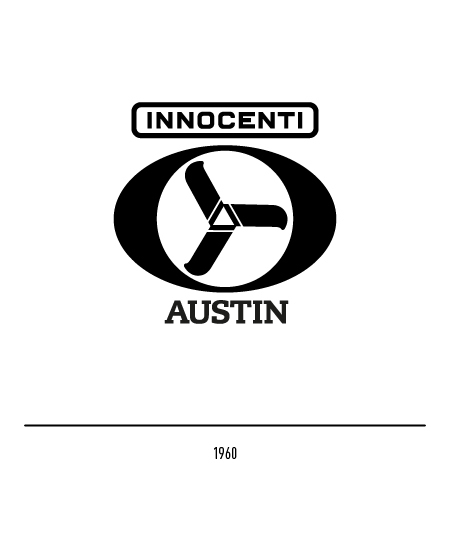 The logotype in block lettering was set in a rectangle with rounded edges. 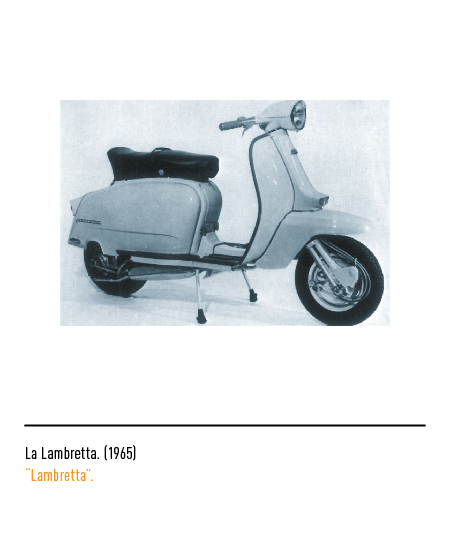 It was sporting this device that the famous Lambretta was launched in 1947. 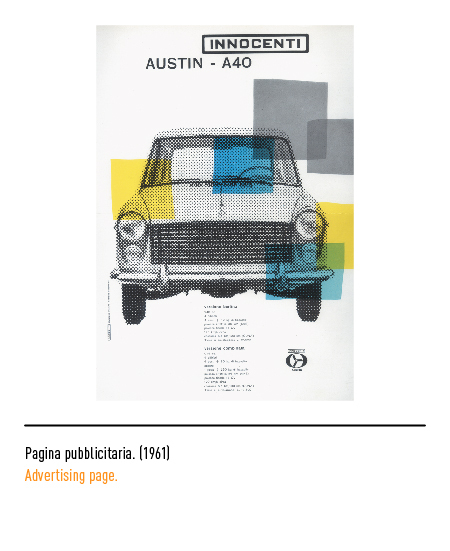 Since 1960 all motor cars manufactured under British Motor Corporation license, especially a model of the British marque Austin, have borne this trade-mark. 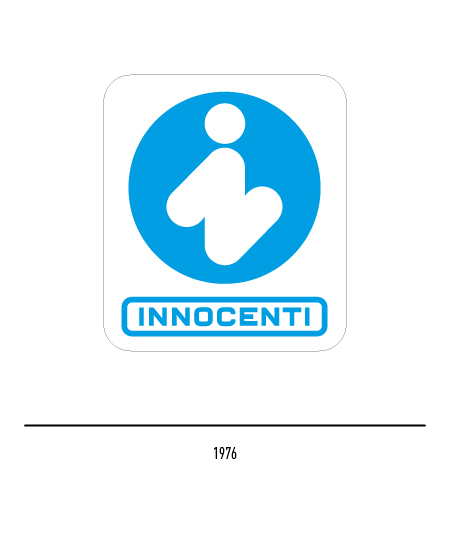 In 1963 changes were made to the trade-mark: only one letter "i" was left in the oval and in some applications the trade-mark was set beneath the Innocenti logotype. 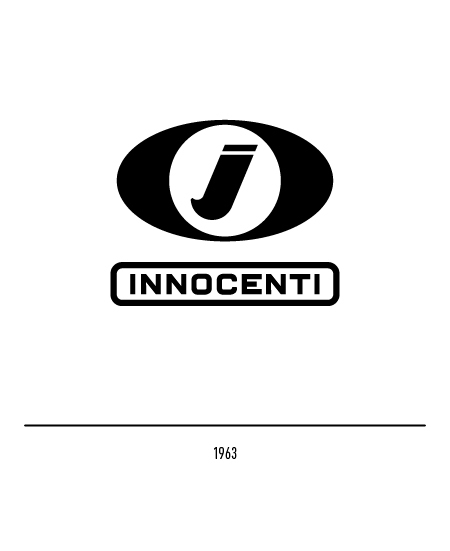 Actually, in the absence of graphic design guidelines, it was often replaced by a different calligraphic logotype. 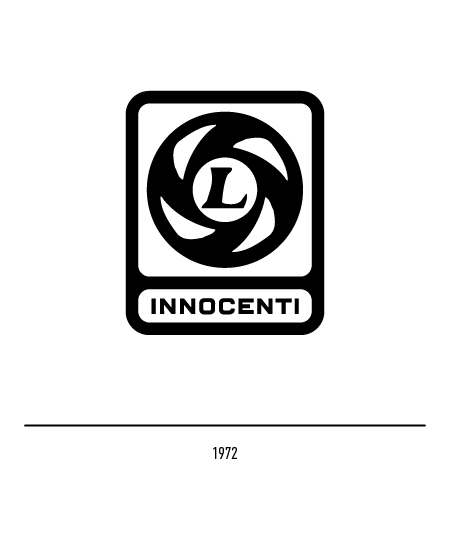 The new models mounting British Leyland engines and sporting a Bertone designed chassis that came out in 1972 were all branded "L Innocenti". 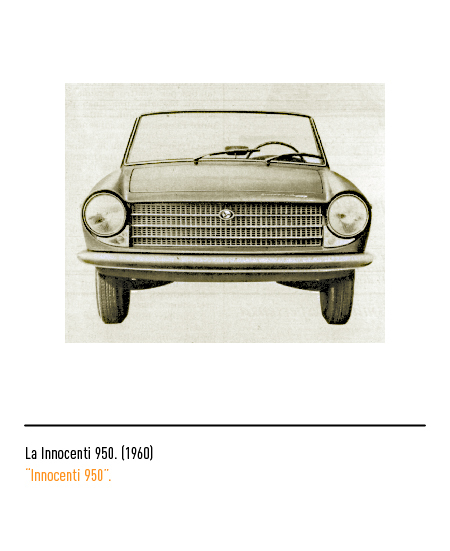 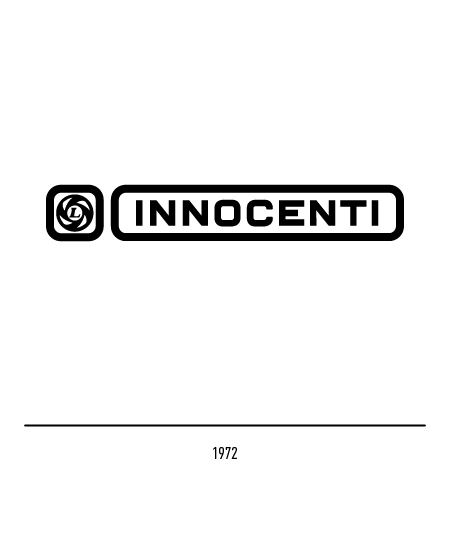 Under the management of of De Tomaso in 1976 the firm's name was changed to "Nuova Innocenti". 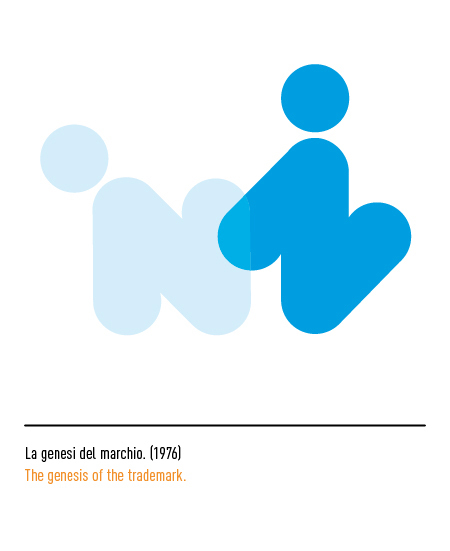 The new trade-mark for the occasion was designed by Michele Spera and portrayed a white letter "i" against a pale-blue background that when viewed at a forty-five degree angle appeared like an "n". 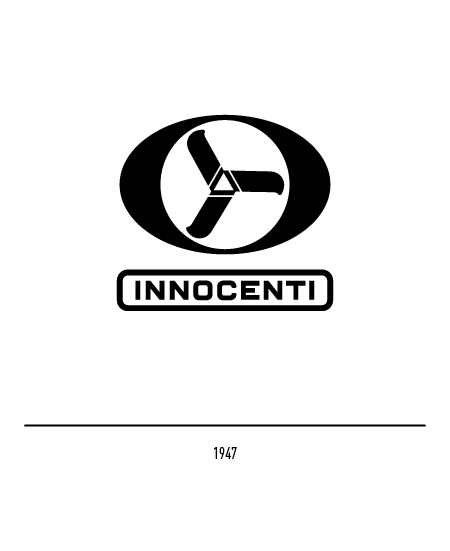 Finally, the logotype was confirmed as was. 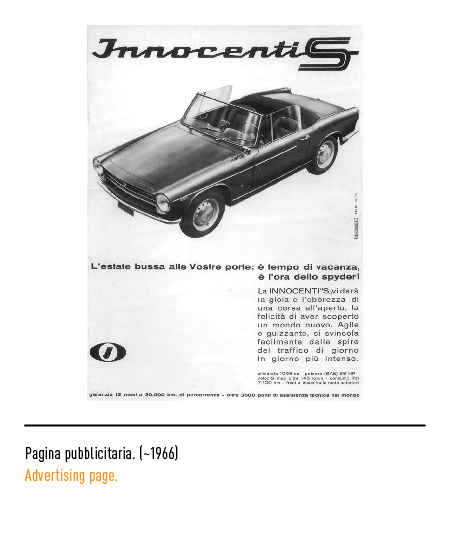 AAVV, LE MOTO, Istituto Geograﬁco De Agostini, Novara, 1976. 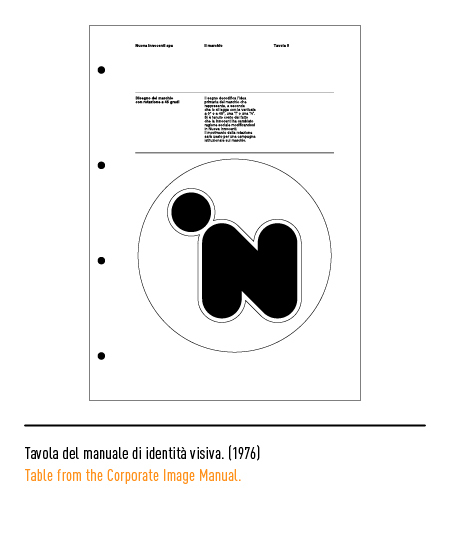 Giorgetto Giugiaro, Bruno Munari, MADE IN ITALIA, Inei, Bologna, 1988. 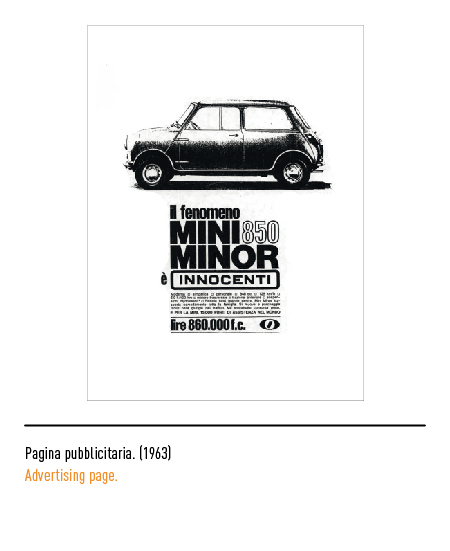 AAVV, MICHELE SPERA, Edizioni Socrates, Roma, 1996. 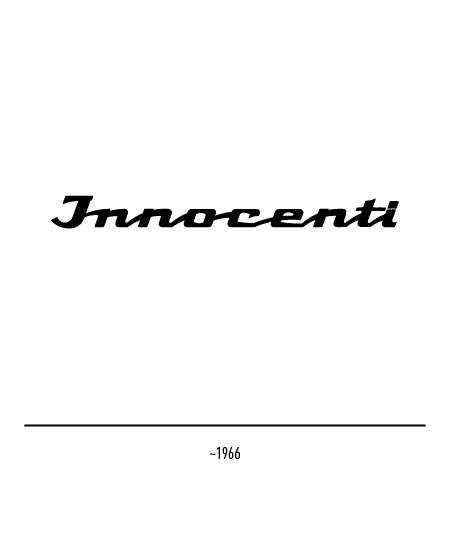 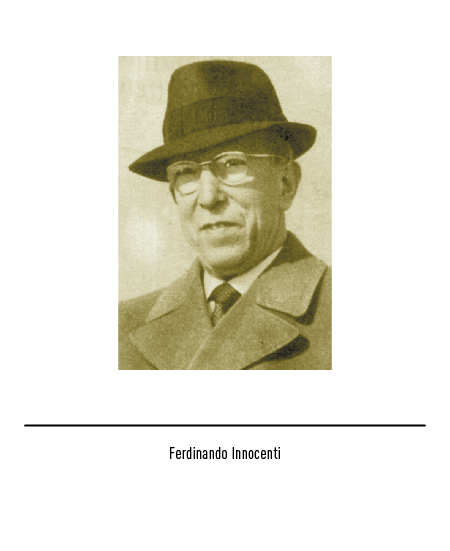 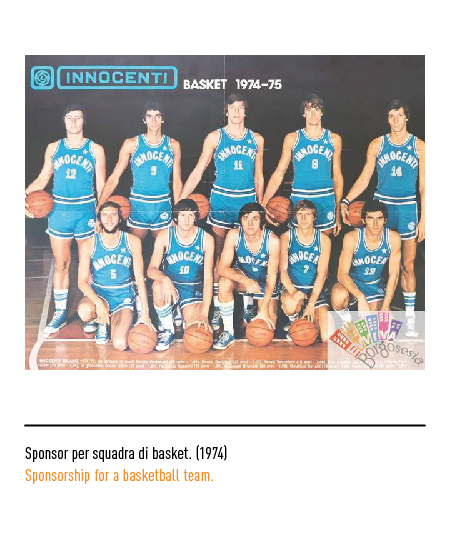 Manuale di applicazione dell’immagine Innocenti.